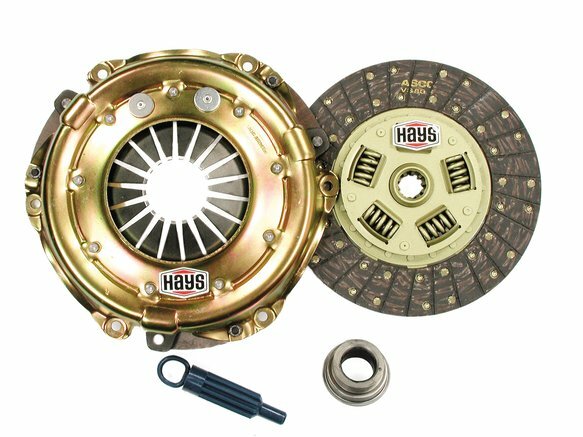 Hays street/strip clutch kits are great replacements for original equipment units. Engineered and built as a matched assembly, each kit will provide exceptional performance, durability and long term dependability. This clutch features a heavy duty cover to minimize flex and ensure strength and stability. The kit fits Buick, Chevy and Pontiac applications with 10.5 in clutch and 1-1/8 in 10 spline input shaft. The pressure plate is a diaphragm style with light pedal pressure and a quick clean release for precise gear changes with positive engagement to handle high horsepower. The clutch disk is organic sprung hub. Comes complete with the throw out bearing and alignment tool.